All orders include order ref, supplier, order date, date due, delivery and invoice address, cost, and whether each item is for production, non-production or schedule. Products not manufactured in house can also be processed. 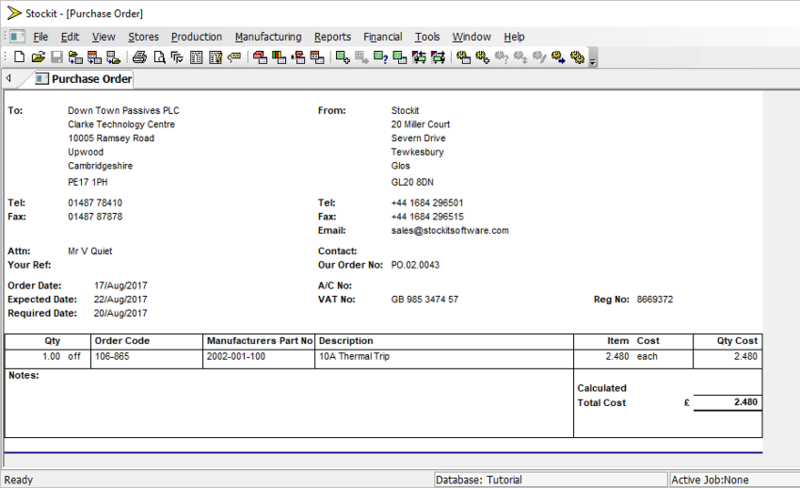 All outstanding orders can be viewed together with expected delivery dates.